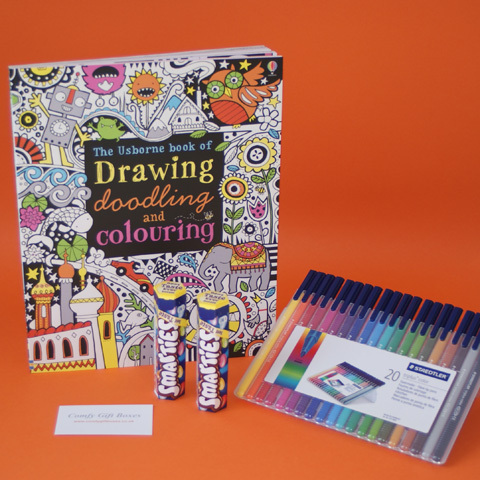 Relax and recharge mind and body - this little get well gift encourages just that, enjoy a hot cup of soothing Camomile and Honey tea and destress with some gentle colouring in. 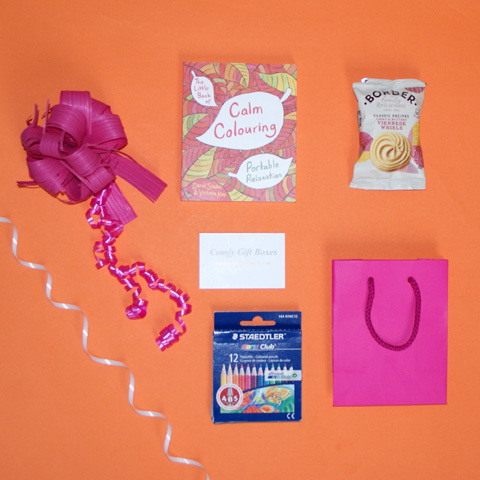 Calm will be restored in no time at all with this stress relief gift idea. 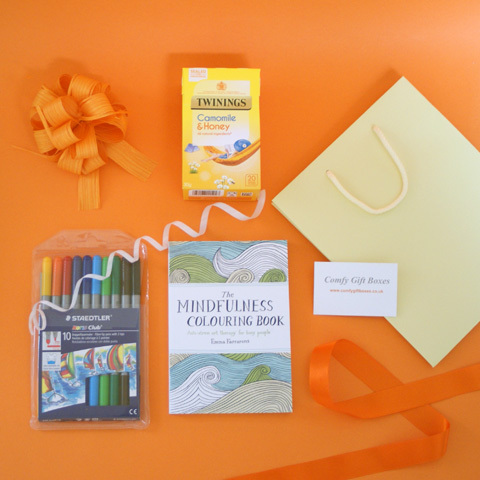 This mindfulness gift bag, designed to help switch off and relax after a stressful day, is presented in an ivory gift bag that has matching rope handles and is lined with bright orange tissue paper. 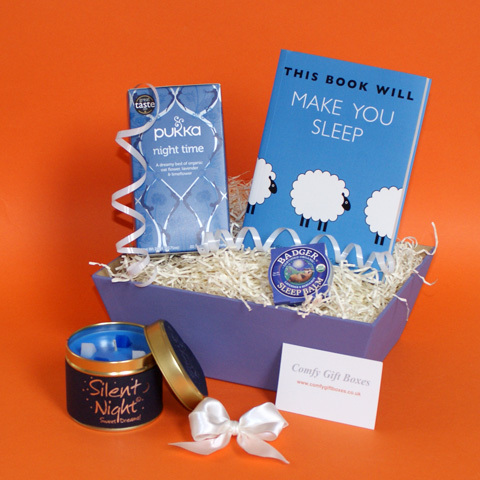 Our get well gifts can also be sent as a Birthday gift or special treat and our pampering presents can be sent as a get well soon gift. Some examples of get well gifts and pamper gifts are below.